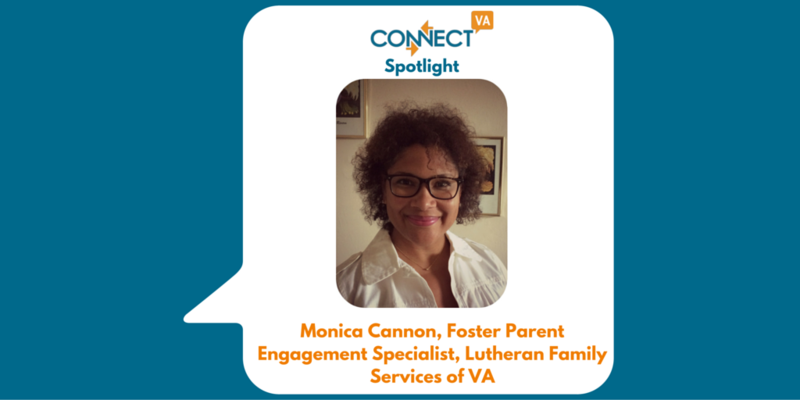 My name is Monica Cannon, Foster Parent Engagement Specialist with Lutheran Family Services of Virginia. I have had a strong desire to advocate on behalf of foster youth when I became a volunteer CASA- Court Appointed Special Advocate, for foster youth almost 20 years ago. And I possess over 15 years of experience in corporate sales, marketing and human resources. I made a full-time transition into social services work a few years ago as a Foster Parent in a therapeutic residential program. I enjoy this work, as Lutheran Family Services is such a mission-driven organization that is helping people live abundant lives. 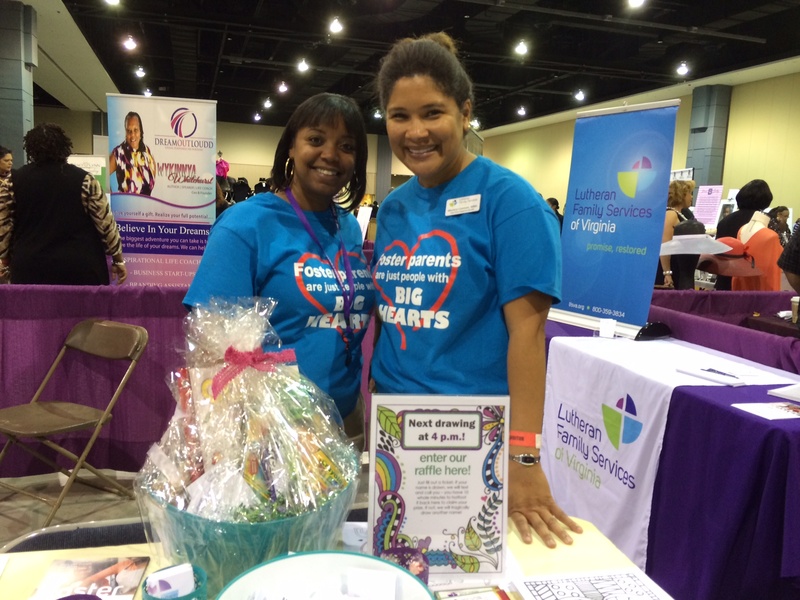 Shaketa Draughn and Monica Cannon (right) at a recruitment event. The focus of my work is foster parent recruiting. 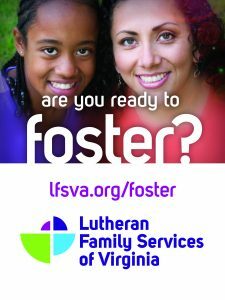 There are more than 5,000 foster youth in the state of Virginia and we have a great need for foster parents. 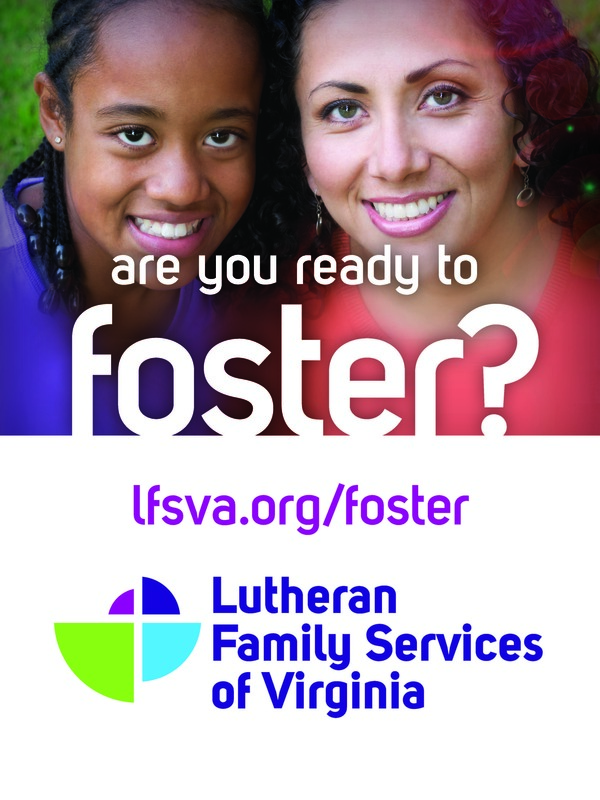 Our treatment foster care program is offered in the Richmond and Tidewater areas. More than 800 Virginia teens will leave foster care this year with no permanency, no stable family, no connections to adults who have their best interest at heart. So we are looking for individuals that have a strong desire to help meet this need as foster or adoptive parents. Knowing that we are connecting children to stable, loving families that have their best interest at heart and wish the very best for them. Finding and meeting these great foster and adoptive parents that are committed to making a difference in young peoples’ lives. 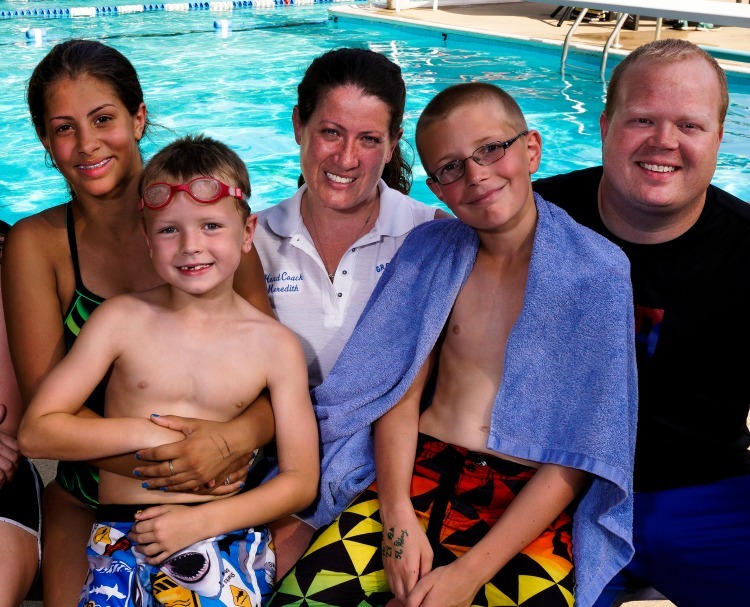 A family formed through foster care and adoption with the help of LFSVA. As an organization we are hyper focused on serving and making decisions based on our guiding principles which are: abundance, relationships, person-centered, stewardship and shared ownership. We aspire to be the best we can through every one of these areas and serving the people of our communities to the best of our abilities. We have partnered with ConnectVA to post our job openings to help us find the very best talent to join our team at Lutheran Family Services of Virginia. ConnectVA is also a great forum to connect with others in the community and get the word out about our need for foster parents. We are grateful to ConnectVA for providing this excellent platform to spread the word about the foster youth we are serving and how others can help. Anyone interested in foster and adoptive parenting can visit us here. Or, visit us here if you are interested in donating to help us better serve our foster and adoptive families. Thank you ConnectVA!